Quality requirements. Quality is a major priority at VELUX and we devote extensive resources to testing, quality control and market testing to ensure that our products meet all quality requirements. In our test department, products are continuously exposed to a variety of tests as an integral part of our efforts to develop and improve our products. We expose our products to extremes of climates and expect them to function perfectly in constant daily use, year-in, year-out. We encourage our customers to expect the very best and back our production with fair guarantees. The VELUX factories have been certified according to ISO 9001, and a roof window is designed and manufactured in accordance with relevant international standards. Our Top-Hung GHL windows in classic pine finish are the perfect way to let in sunshine, fresh air and clear views of the outdoors. Ideal for shallower pitched roofs, these windows can be easily combined together to create visual impact and a bright, airy space. Top-Hung and with three pre-set opening positions at 5°, 15° and 30°, the GHL offers you an unrestricted view. Powerful, yet gentle springs allow for easy opening and closing. Bottom handle for convenient opening. 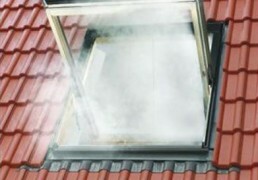 Rotates 180° for easy cleaning of outer pane.Suitable for emergency escape in certain sizes. 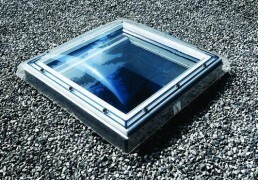 The original VELUX roof window, the centre-pivot roof window, has been tried and tested for many years. Adding natural light can have a positive impact on the value and feel of your home, so by combining these windows together you can create a dramatic visual impact which will transform your home with daylight alone. This Centre Pivot window features a top control bar for manual operation and can rotate 180º for easy cleaning. Comfortable and easy to use top control bar. 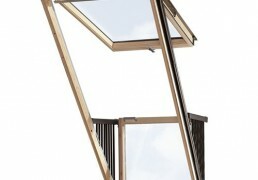 The window rotates 180° in its frame for easy and safe cleaning. A wide range of blinds and sun protection accessories are available. Electrically operated INTEGRA® windows offer comfort at the touch of a button. Elements are supplied with a choice of our –73 or –60 panes. Suitable for roofs with a pitch between 15º and 55º. Our classic windows blend tastefully into the roof of your old building with a vertical centre bar and black finish exterior. These windows have all the great features and superior insulation of our standard roof windows, making them the perfect choice for your renovation project. 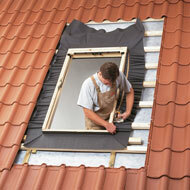 Our range of flashings will provide a weathertight seal between your roof window and roofing material. Because every roof window needs a flashing to ensure safe and effective water drainage, VELUX makes it simple to select the right one for your roofing material and window layout. Flashings come in grey aluminium as standard to match the window profile, with the options of copper, titanium zinc and coloured aluminium, so you’re sure to find the appropriate type for your roofing material. 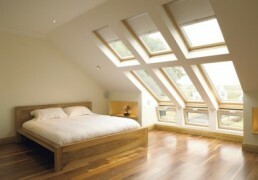 Velux offer a wide range of stylish fitted blinds to provide the perfect finishing touch for your window. Please ask in branch for information on blinds and accessories.